Hi and welcome to 3rd grade! I am so excited to be at Bridge Point Elementary and teaching your child this year! I was fortunate enough to grow up in Eanes ISD and attend Bridge Point myself. I was a little first grader when this school opened 21 years ago. The teachers and staff at Bridge Point shaped who I am not only as a person, but as a teacher, and I am so grateful that I get to be a part of this wonderful community. I graduated from Westlake High in 2009 and decided to head over to the SEC and attend Auburn University (War Eagle)! I had a great four years at Auburn where I obtained my Bachelors in Elementary Education. As much as I loved my time in the Deep South, I immediately headed home to the great state of Texas. I am going into my fifth year of teaching and I am SO excited that I am teaching third grade again this year. Thankfully, my family still lives in the Westlake area so I get to spend a lot of time with them. My sister, Kinsey, just graduated from Auburn University and is living abroad in Madrid, Spain and my brother, Cade, is a junior in the McCombs School of Business at UT. In my free time, I love to read on my Kindle, serve at my church, bake, work out at Pure Barre, travel, try all the new restaurants, and hang out with my family, puppies, and friends. As a teacher, there are a few beliefs I hold very close to my heart. First, I believe in high expectations-for my students and myself. My goal is to help your child reach his or her full potential by setting these high expectations. Second, I believe that parent communication is essential for a successful school year. Please feel free to call or email at any time. I’m look forward to getting to know and work with you and your child. My family at Matt's El Rancho. Our family dogs, Millie and Macy, at the lake. My siblings and I at Auburn University. War Eagle! 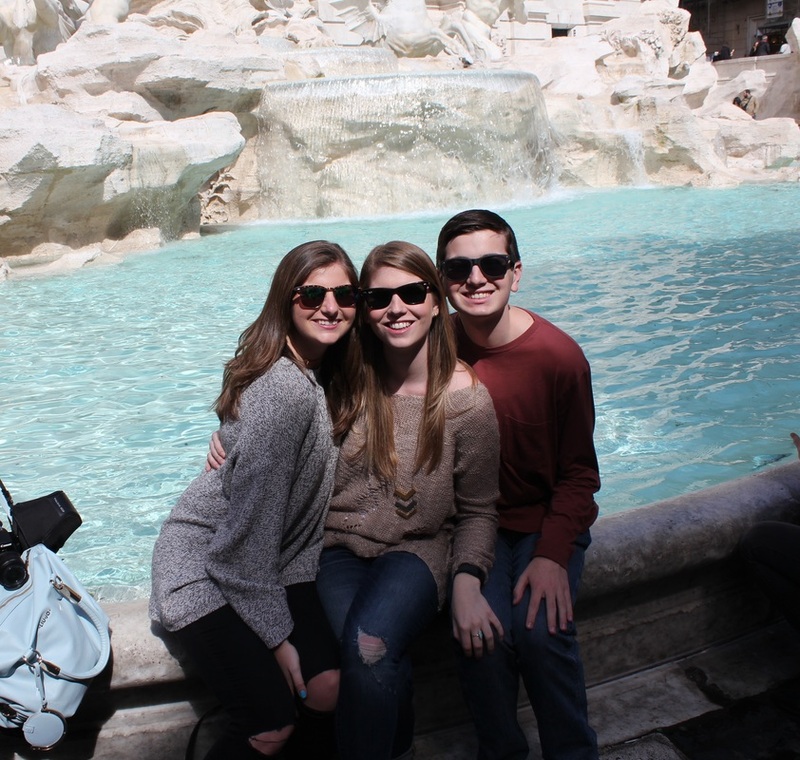 Kinsey, Cade, and I at the Trevi Fountain in Rome.